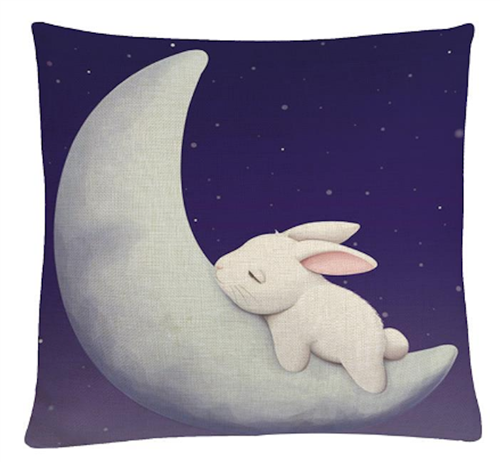 These beautiful bunny throw pillow cases are 17" x 17" square with a hidden zipper along one edge. They are made of strong woven linen. Use your own pillow filler or let us fill it for you!